Having treated many patients over the years DCI denial is a real factor in divers. A medical cliche is that "common things are common, rare things rare". 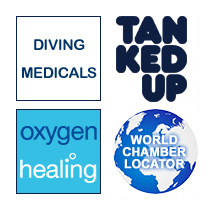 If you have been diving the week before and develop a joint pain, tingling, fatigue or numbness, then do not assume it is anything other than DCI. It will not be a rare neurological illness; it is most likely to be a bend. It's not that you have wrenched your shoulder lifting kit; assume it's a bend. It's probably not a rare tropical bug; assume it's a bend.